Pavers can be installed in all different sizes, colors, and arrangements. Pavers can have tumbled or textured finishes, which allow a homeowner to achieve a number of different looks for their outdoor project. 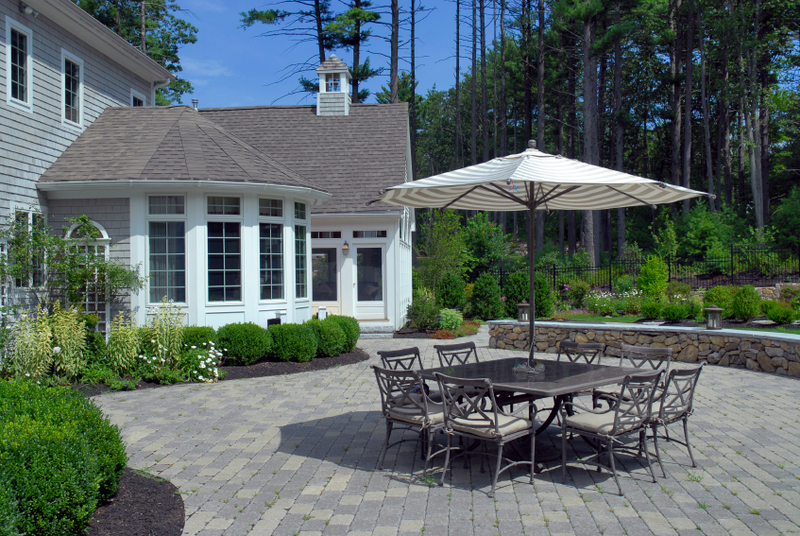 These attributes make pavers a favorite choice for backyard patios and walkways! Pavers weather well and are easily cleaned with a power washer. They can be sealed or left to weather naturally. Sealants bring out a deeper color of the paver but must be reapplied to keep their look. Contact us to request a free patio paving price estimate, and we can discuss how our Raleigh hardscape services can add to your outdoor space. We offer walkway and patio installation to clients in the NC Triangle, including cities like Raleigh, Cary, Apex, Morrisville, Holly Springs, Fuquay-Varina, Garner, Knightdale, Pittsboro, Wake Forest, NC and beyond.